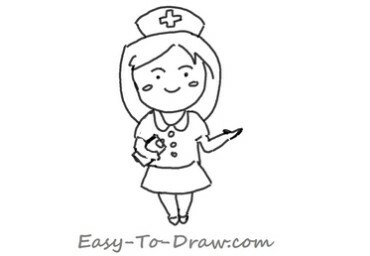 A nurse is a healthcare professional. A registered nurse (RN) is a nurse who has graduated from a nursing program and met the requirements outlined by a country or state licensing body in order to obtain a nursing license. An RN’s scope of practice is determined by local legislation governing nurses, and usually regulated by a professional body or council. Registered nurses are employed in a wide variety of professional settings, often specializing in their field of practice. They may be responsible for supervising care delivered by other healthcare workers including enrolled nurses, licensed practical nurses, unlicensed assistive personnel, nursing students, and less-experienced RNs. Registered nurses must usually meet a minimum practice hours requirement and undertake continuing education in order to maintain their registration. Furthermore, there is often a requirement that an RN remain free from serious criminal convictions. 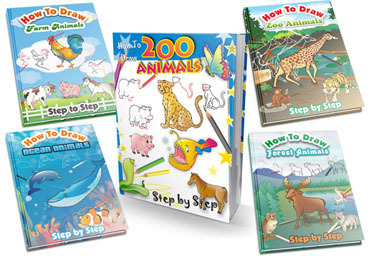 Here are the steps to draw Cartoon Nurse. Enjoy! 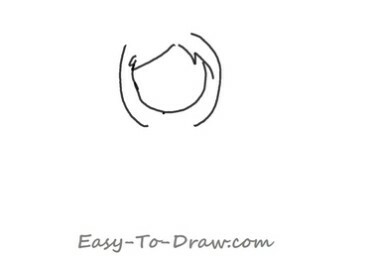 Step 1: Draw an half circle as the face, and some hair surrounding her face. 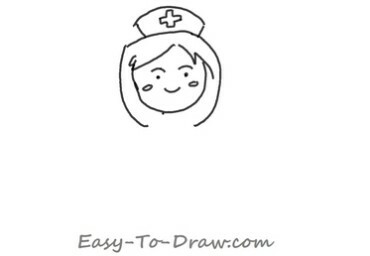 Step 2: Draw a nurse cap with a cross on her head, and draw 2 eyebrows, 2 eyes and a mouth on her face. Step 3: Draw the a shirt and a skirt below the head. 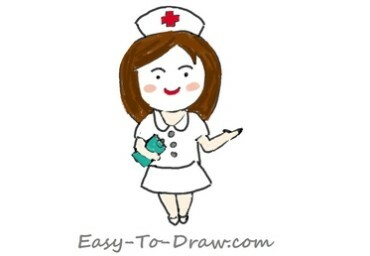 Step 4: Draw 2 arms and a notebook held by the nurse. Step 5: Color the hair brown, the cross red, and 2 cheeks red. Step 6: Color the notebook green, the arms and the legs meat color. Step 7: Color the nurse uniform with some grey color and the shoes red, and draw some eyelashes above the eyes. 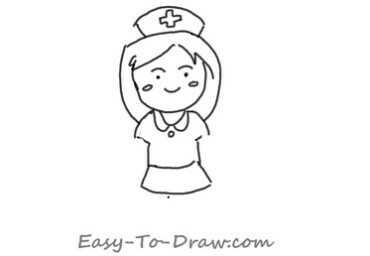 Nurse Video Drawing Tutorial for kids!